Built with Prism's usual attention to detail and quality, the Jazz is the top entry-level kite in its class. The Prism Jazz has a deep wing-profile that offers precise, predictable handling, which makes it as easy to fly as a larger kite. 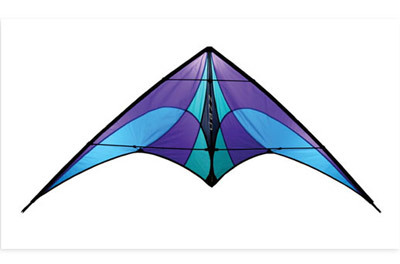 Get the right start into stunt kite flying, pick up the Prism Jazz, and get ready to fly! Jazz Package Includes: 80 lb. x 60 ft. Spectra dual line set on polycarbonate winder Prism wrist straps 25 inch zippered carry-bag.